Although there are many fanged and scary creatures that come out at night in the Amazon rainforest, Dracula, of book and movie fame, is not one of them. Well, not the one you're thinking of anyway. There is another Dracula that makes its home in the depths of the jungle - the dramatic Dracula orchid that is - and this Halloween, it and many other endemic plant and animal species are in need of your help. Rainforest Trust, a non-profit organisation whose mission is saving critical lands for conservation through land purchase and protected area designations, is urgently appealing for donations as part of a Halloween fundraising drive to raise $58,995 to help pay for the creation of the 'Dracula Reserve', 652 acres of coastal rainforest extending from northwestern Ecuador up through Colombia. The reserve would be located in Ecuador's portion of the Chocó Biogeographical Region, regarded by scientists as one of the most biodiverse places in the world. The reserve, as you might have guessed already, would be named after the Dracula Orchid, one of its most unusual inhabitants, named by Dr. Carlyle Luer for the sinister face-like appearance of their flowers. Dracula orchids are highly endemic, with 90% of all species found at three or fewer sites, and because these orchids are so restricted in their habitat requirements, they are very susceptible to extinction by habitat loss, so much so that it has been estimated 14 Dracula species have already gone extinct due to deforestation, Ecuador having one of the highest rates of deforestation in South America due to agriculture, logging, human settlement, and cattle grazing pressures. The creation of the reserve would protect the critical habitat upon which at least two of these endangered and endemic Dracula Orchid species depend, but they are by no means the only species that would benefit from neutralising the threat of deforestation. There are many other plants, frogs and insects that have similar habitat requirements, and the region has some of the world's highest avian endemism rates, several species of which, such as the Long-wattled Umbrellabird and the Banded Ground-Cuckoo, are also endangered. To learn more and make a donation, no matter how small, please visit Rainforest Trust's Dracula Reserve Campaign Page. 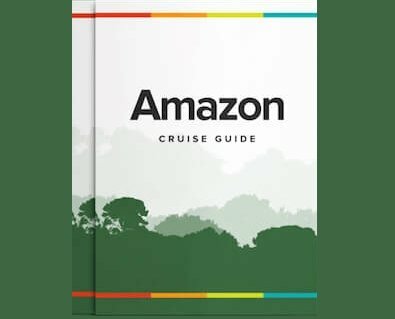 To visit Ecuador's incredible Amazon Rainforest and see what lurks in the shadows for yourself, please visit our Ecuador Amazon Cruises page.